If you’ve ever wondered where Santa fits in to the whole commercialisation of Christmas debate: Working class hero or corporate stooge? 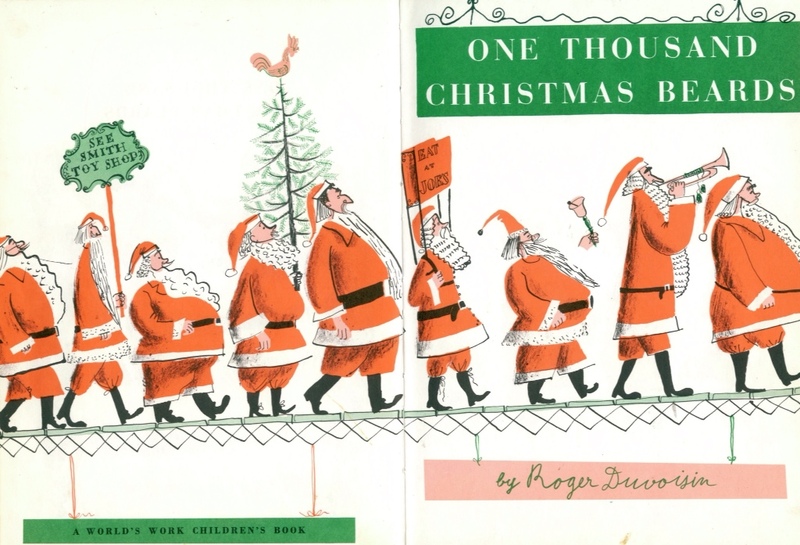 Then One Thousand Christmas Beards is the book for you. 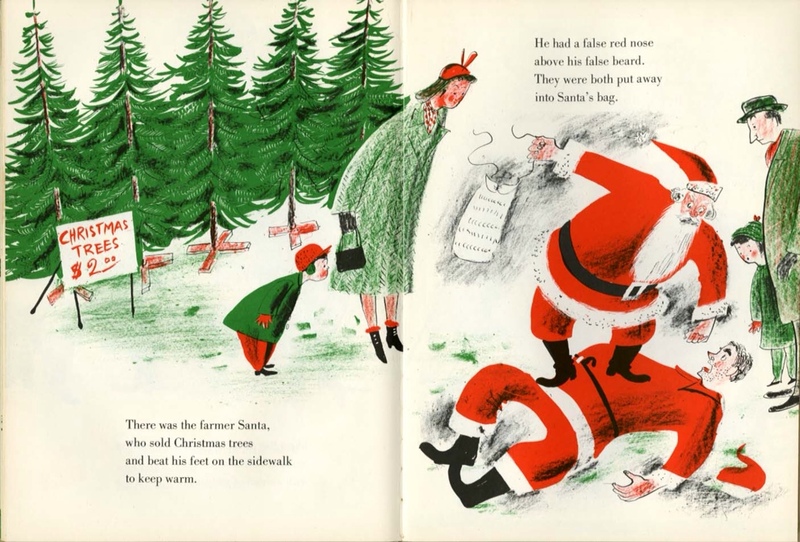 Roger Duvoisin, author of Petunia’s Christmas, brings us a Santa who is both befuddled and enraged by the festive jamboree. 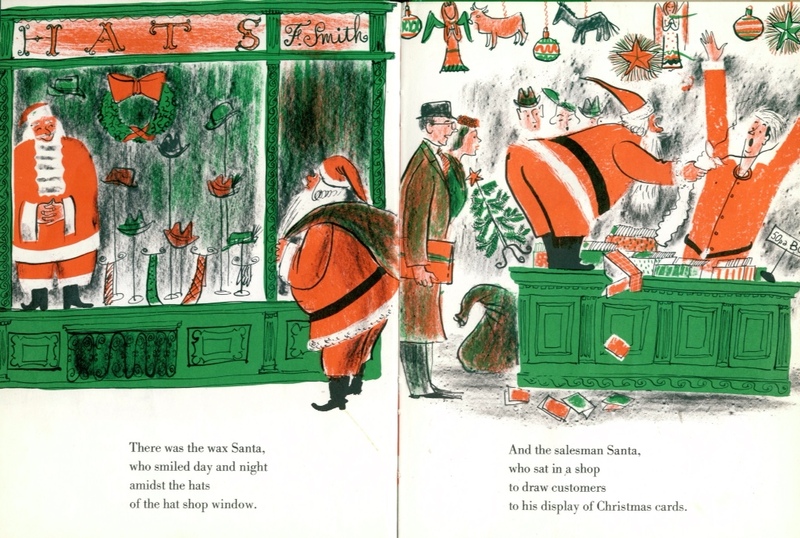 The objects of his ire are the countless false Santas peddling their wares on streets and in stores all across the world. I rather like the idea that she believes him capable of such an atrocity. 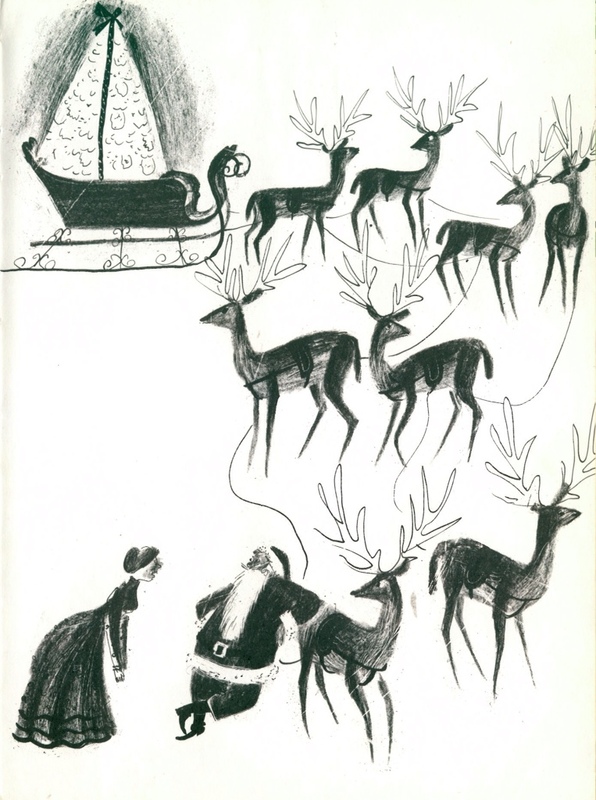 It suggests a much darker past for Santa, perhaps he’s haunted by the spectre of a festive holocaust from Christmas past? Mass murderer or anti corporate anarchist? 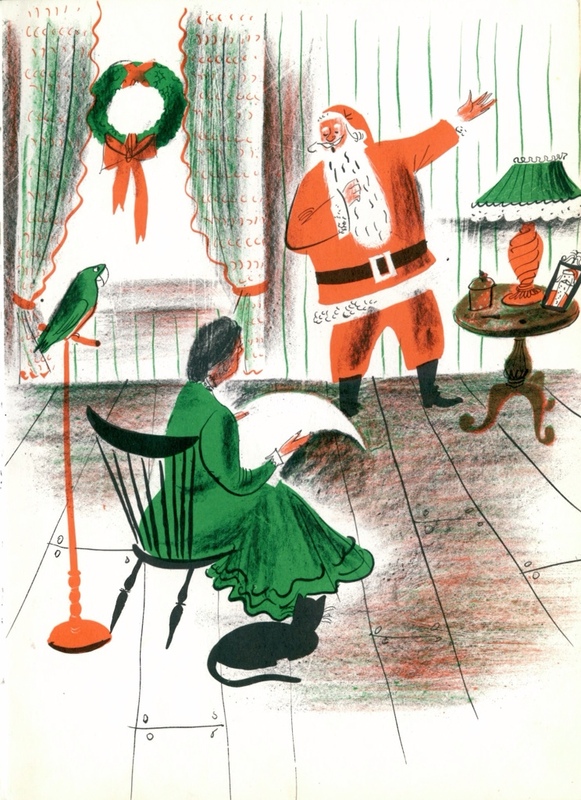 Whatever his past, Santa has mellowed. 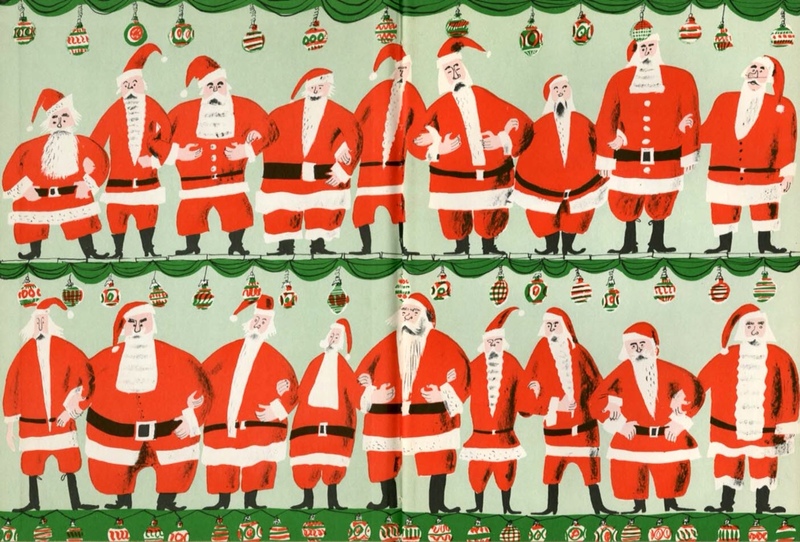 He concedes that selling out a bit at Christmas is unavoidable, and so decides to send the false Santas back their beards along with a packet of sweets. 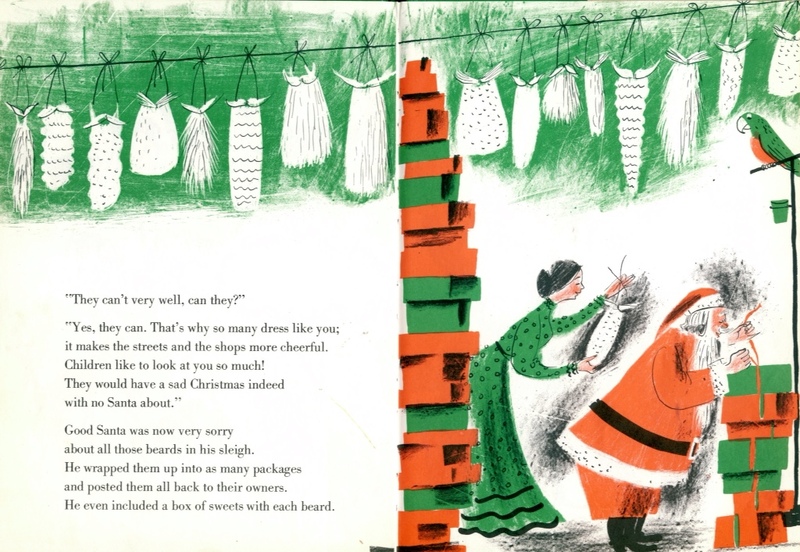 Tags: One Thousand Christmas Beards, Petunia, Roger Duvoisin. Bookmark the permalink.